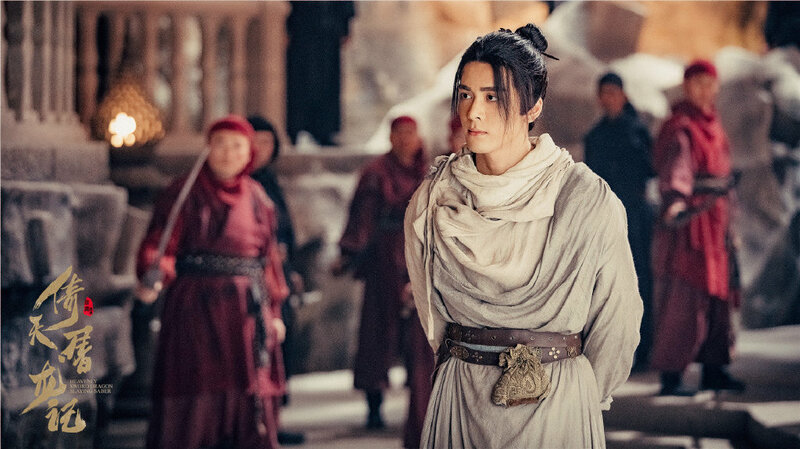 Coming in fifth the previous week, Heavenly Sword Dragon Slaying Saber which airs as a web drama moves up to 2nd place. 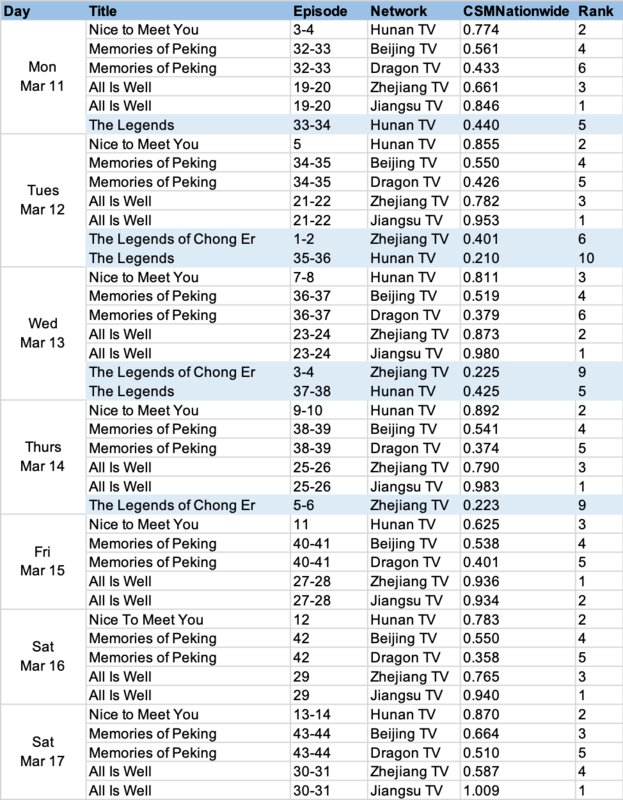 It is now sandwiched between All Is Well and Memories of Peking which is no small feat considering that both shows are dominating primetime with CSM55 ratings above 1% on every network where it airs. Memories of Peking takes the win on TV while All Is Well wins online. Destiny's Love may not be the Moonshine and Valentine follow-up that I was expecting, but it is parts sweet and parts fantasy which lands it in 9th place for its premiere week. The top 3 celebrities have undergone a little reshuffle. Instead of Zhang Yixing, Zhu Yilong and Zhao Liying, the order of ranking has turned into Zhao Liying, Zhu Yilong and Zhang Yixing. All Is Well cast members Yao Chen, Guo Jingfei and Li Nian have all made the list. On a side note, color me impressed with the staying power of Yang Zi and Deng Lun who still rank in the top 10 with no drama at the moment. Where is goodbye my princess rating?